Building on its leadership position in optical measuring and inspection, Olympus America Inc. has expanded its industrial instrument distribution network to better meet customer needs. Russian Nanotechnologies Corp., the state holding company known as Rusnano, plans to sell the equivalent of $1.7 billion in bonds beginning in the third quarter to fund expansion and new projects. This acquisition brings together Genetix' expertise in developing and marketing imaging systems and software for clinical and research applications, with Leica Microsystems' microscopes and other life science instrumentation. Vitex Systems, Inc., a leading technology developer, licensor and engineering service provider of thin-film encapsulation and moisture barrier films, announced that its equipment licensees, SNU Precision and Sunic Systems, have received multiple orders for Barix thin-film encapsulation (TFE) equipment. Applied Materials, Inc., the world's largest supplier of equipment to the semiconductor, flat panel display (FPD) and solar photovoltaic industries, today announced the opening of its newly expanded Tainan Manufacturing Center in Tainan, Taiwan. ALLVIA, the first through-silicon via (TSV) foundry, in conjunction with Semiconductor International magazine, will broadcast a webcast on how to build silicon interposers with embedded capacitors in 3D stacked semiconductors. The new graphene support film provides an invisible, crystalline background that enables the unrivaled TEM characterization of organic and inorganic nanomaterials. 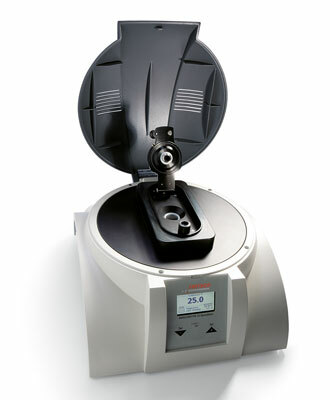 The new ANALYSETTE 12 DynaSizer from FRITSCH uses Dynamic Light Scattering as a measuring method and therefore enables the measurement of particle size distributions between 1 and 6000 nm. GigOptix-Helix AG, subsidiary of Palo Alto, CA based GigOptix Inc., a fabless semiconductor company, that provides electronic engines for the optically connected digital world and other advanced radio frequency (RF) applications today announced that they will participate in the European Union funded project Silicon-Organic Hybrid Fabrication Platform for Integrated Circuits (SOFI). WaferGen Biosystems, Inc., a leading developer of state-of-the-art genetic analysis systems, today announced eight new early-access customers that include major universities and service providers in the U.S. and Japan. As sister companies within Spectris plc, Malvern Instruments and Particle Measuring Systems have completed the transfer of sales and support for Particle Measuring Systems products in Sweden, Denmark, Norway and Finland. Pursuant to this agreement, Bruker will acquire certain product lines of Varian Inc., which Agilent has committed to divest in connection with obtaining regulatory approval for Agilent's previously announced acquisition of Varian. mPhase Technologies, Inc. today announced that its mPower On Command Reserve Battery has successfully met all United Nations / US Department of Transportation (UN DOT) safety standards and has received UN DOT certification for the safe transport of lithium-containing batteries. A GBP 1.1 million project aimed at creating new platinum based catalyst layer designs for fuel cells has been awarded funding by the UK Technology Strategy Board. Thomas Swan Achieves Commercial-Scale Production of Carbon Nanotubes in the U.S. Leading manufacturer of carbon nanotubes Thomas Swan has achieved commercial scale production to meet growing demand in the USA. This success has been marked by the company's announcement that it has issued a 'Notice of Commencement of Manufacture or Import' to the US Environmental Protection Agency (EPA) in relation to its Elicarb SW single-wall carbon nanotube products. PV Technologies India Limited (PVTIL), a subsidiary of Moser Baer India Limited (MBIL) announces successful completion of testing and validation of breakthrough process that will enhance the stable efficiency of its single junction thin film module from 6% to 7.3%.